When you think of the word “brand”, what comes to your mind? Is it the logos and colours of the business titans of the world? Coca-Cola and Red, IBM and blue, ‘Virgin’ written in the way it has always been written, since the days when Richard Branson was delivering records. Or perhaps it is some famous tag-line like “every little helps”, or “just do it”. All of these pieces of branding are linked to enormous companies. But what about branding in small companies? 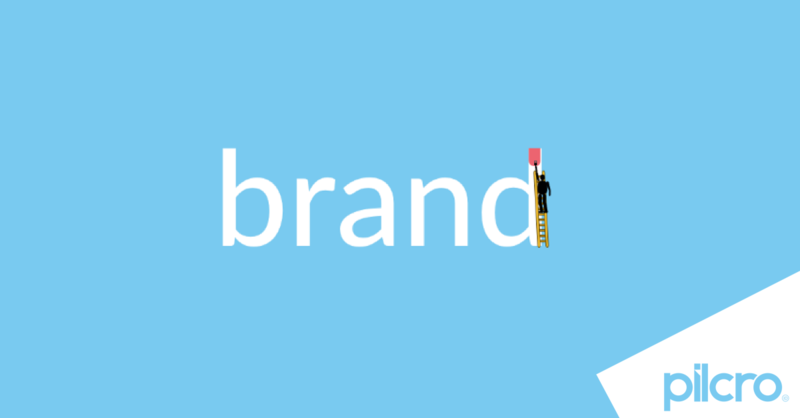 What does brand really mean for startups? If a company was a person, its brand would be its personality. Your brand is your startup’s identity. All of your logos, colours, and one-liners are simply the manifestations of this underlying identity, just as the clothes we wear and the words we say are expressions of our personality. Your brand defines how customers perceive your company. The problem is that so many small companies focus far too much on their product in the early days, neglecting their brand, and, therefore, their identity and personality. Below we discuss 6 particular reasons why you should never neglect your brand, even when your company is one day old. Someone has seen your cool new product and they want to tell their friends about it….. but what was it called again, what was the story behind it? It has been shown that it takes 5–7 impressions on average for a brand to be remembered. If your identity doesn’t shine through in these early impressions, which could be across many different media, then you may not be optimising your word of mouth network. Everyone remembers the people at the party with the strong personalities! Word of mouth referrals are incredibly powerful, particularly in the early stages of growth. By setting up a memorable brand and message, you can help people spread the news about your company. Word of mouth is free; make good use of it! Consumers like a strong and consistent brand. People want to feel like they are purchasing from the same company and they want to receive the same experience each time. Think about when you see those grey London cabs; they just don’t feel like the real thing. A consistent brand builds trust and confidence in your clients, and this will compel them to return to you rather than look elsewhere. Your brand sets your consumer’s expectations as to what level of service they might expect to receive. This makes it easier for you to deliver the right service to your consumers, to keep them happy and to extend their lifetime value for your business. People like to do business with familiar brands. If your brand is consistent and familiar, then even the smallest things can remind a potential customer of your brand, from a phrase in one of your adverts to the shape of your logo. This means consumers are more likely to find it easy to engage with you, and this leads to increased sales and brand loyalty. As humans, our actions are usually driven by our emotions (much as we might try to control them!). Your brand can tap into those emotions. Think of a few really powerful brands — they tend to conjure up emotions and we all begin to associate particular brands with particular feelings. Your brand is your company’s personality and so naturally it defines the culture in the office. A strong brand makes it clear how things are going to work in the office, and it can help to build and improve your office culture making your company a more attractive place to work. Deciding upon the first iteration of your brand identity must be done very early in the life of any startup and it is a very difficult process (more blogs to follow on ways to do this). However, maintaining and developing your brand is just as difficult. With so many brand touchpoints to manage, it is more important than ever to have a clear brand identity. Having centralised and easy-access brand assets is a powerful way to ensure your brand is working. Keep control! For a new way to share and manage your brand assets and identity interactively - check out www.pilcro.com. Free brand management software for G-Suite.